ERP Risk Advisors blog: Oracle E-Business Suite Controls: Foundational Principles is finished! 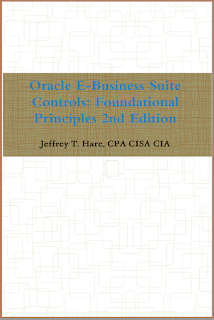 Oracle E-Business Suite Controls: Foundational Principles is finished! Tetelestai, as the Greeks would say. Meaning - it is finished. 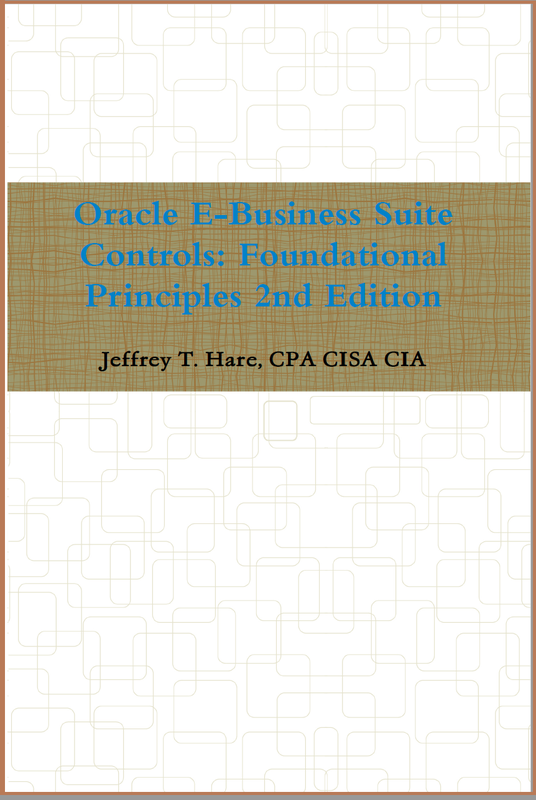 Four years since I first started an the update to this book... You can purchase this at: http://www.lulu.com/shop/jeffrey-t-hare-cpa-cisa-cia/oracle-e-business-suite-controls-foundational-principles-2nd-edition/paperback/product-23679820.html. For those of you that have seen the musical - Hamilton - the phrase 'why do you write like you're running out of time' from the song 'Non Stop' comes to mind. More articles and books to come.